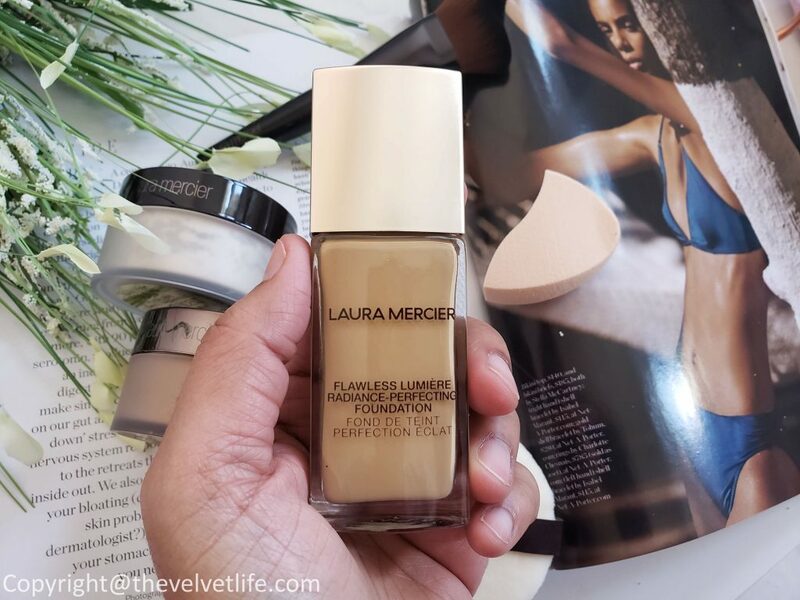 Laura Mercier Flawless Lumière Radiance-Perfecting Foundation is the new foundation from Laura Mercier which launched this year. I am all about glow when it comes to base makeup, the glowy, dewy skin is my go-to always. 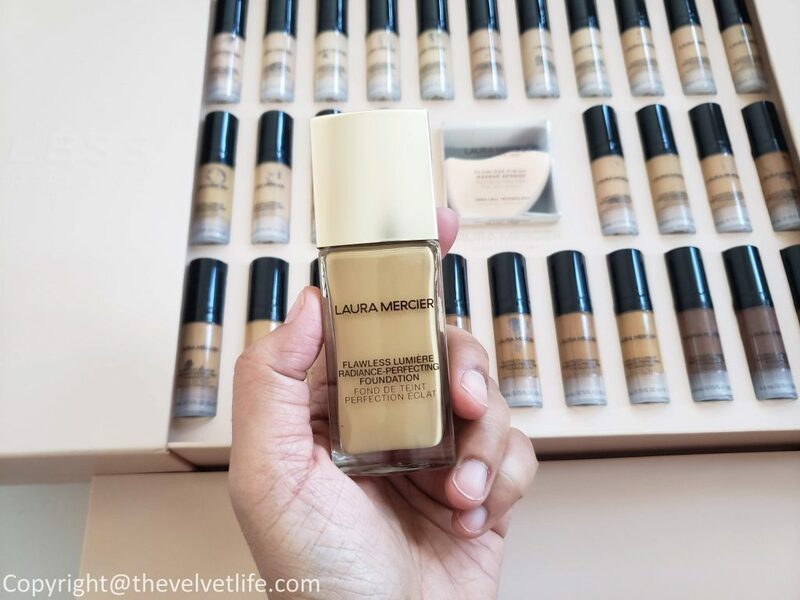 I do like Laura Mercier Flawless Fusion Ultra-Longwear Foundation which I reviewed in the past here. 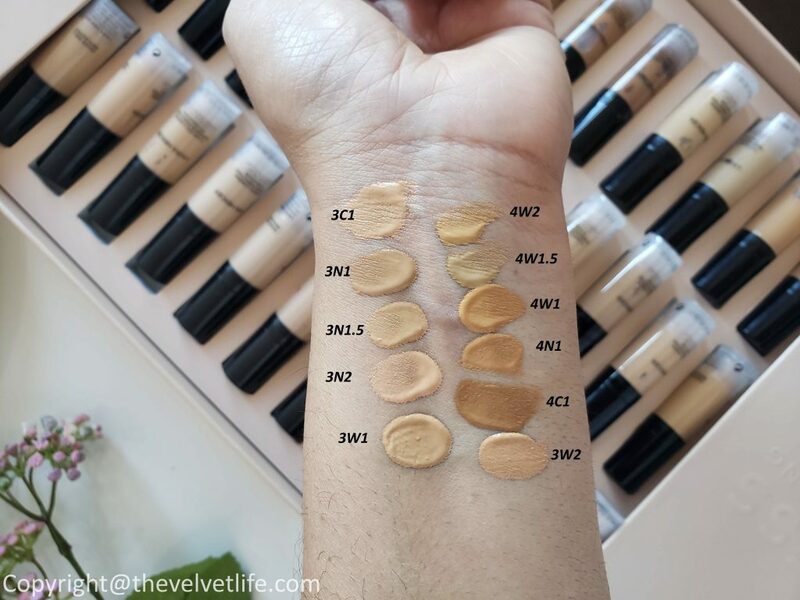 If you see the packaging of both foundations, the striking difference is the cover of the foundation. 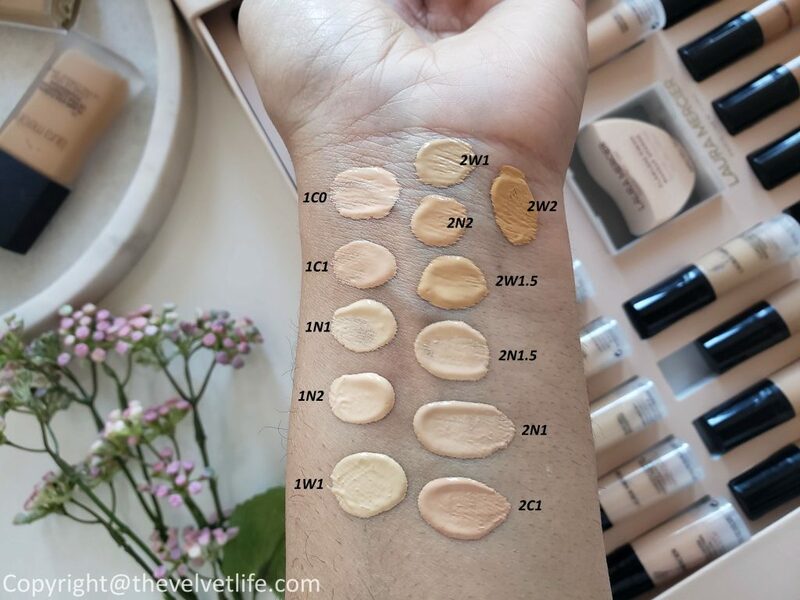 The shape and size of the foundation bottle are the same. The bottle of the Flawless fusion ultra-long wear foundation is matte glass with brown cover while the Flawless Lumiere is a glossy shiny bottle with shiny nickel cover. Both foundations feel very lightweight and the coverage is amazing while the major visible difference is the finish. 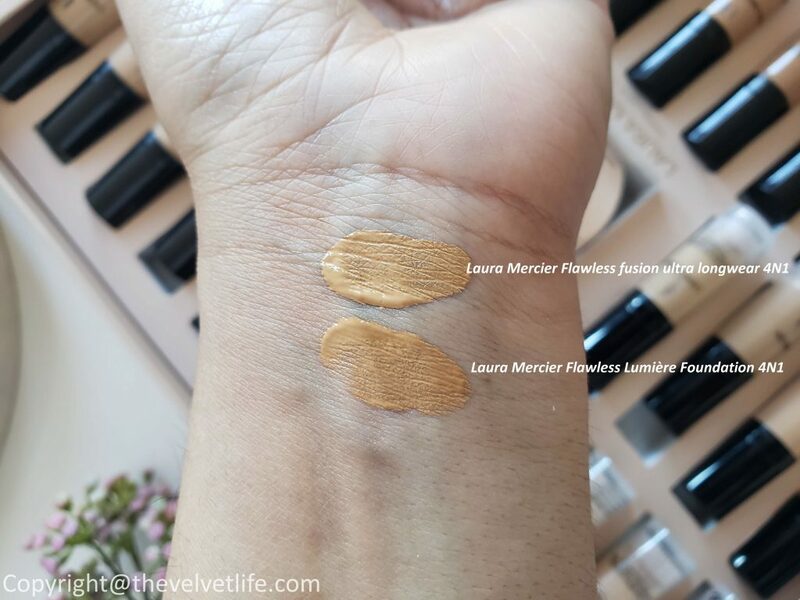 Laura Mercier Flawless Lumière Radiance-Perfecting Foundation is a lightweight foundation which gives medium coverage buildable to full coverage. The finish of the foundation is naturally luminous. I use a pump or two of the foundation for a medium coverage which I usually prefer most of the days when I am working. 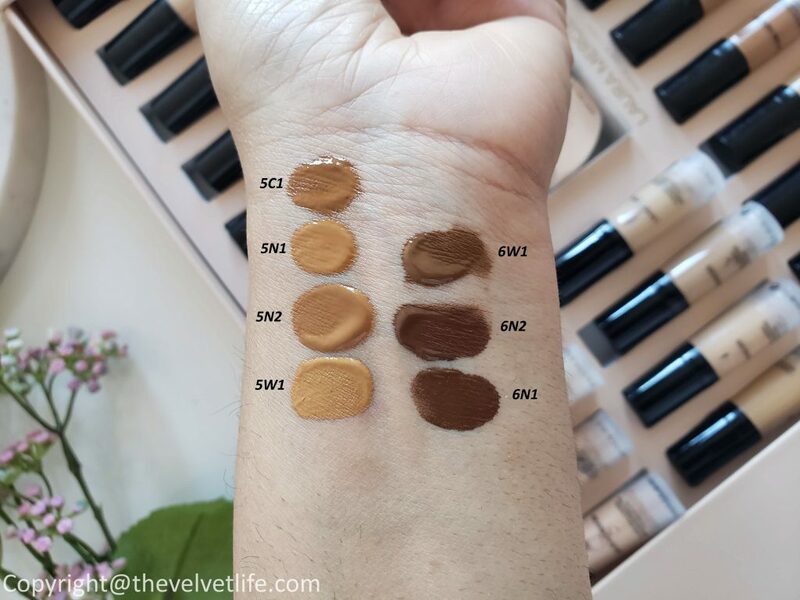 The foundation blends in beautifully into the skin and looks like second skin. It does not look or feels cakey or heavy on my combination skin. It does not accentuate my dry areas on the skin but is hydrating. The staying time of the foundation is impressive, almost same as the flawless fusion ultra long wear (which has a matte finish). For me, the foundation stays good with a light touch up of powder on my oily areas, which I usually don’t do much, for over 10 hours which I have tested it for. I did not notice any oxidization of the foundation on my skin tone. It lasted well on my skin with or without primer, there was no major difference in the time. My shade is Tawny 4W1.5 which is for medium skin tones having warm undertones. The foundation applies nicely with a buffing brush, makeup sponge, especially the one newly launched by the brand called Flawless Finish Makeup Sponge which is an s-shaped sponge that is designed to provide an even laydown for flawless application. I have noticed the absorption of the product is pretty less with this makeup sponge. The shape of this sponge allows easy application of the foundation around the edges of the nose, and apply concealer under eyes smoothly. It can be used for multiple purposes in the makeup application routine after applying foundation with it, to blend concealer, apply powder over concealer or for baking, blending the contour. 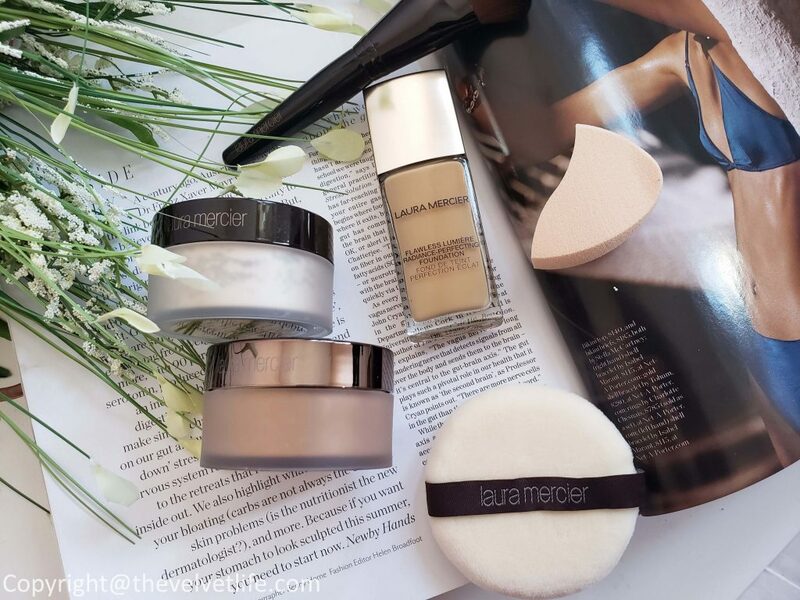 The foundation and sponge duo are definitely amazing launches from Laura Mercier that you need to check. 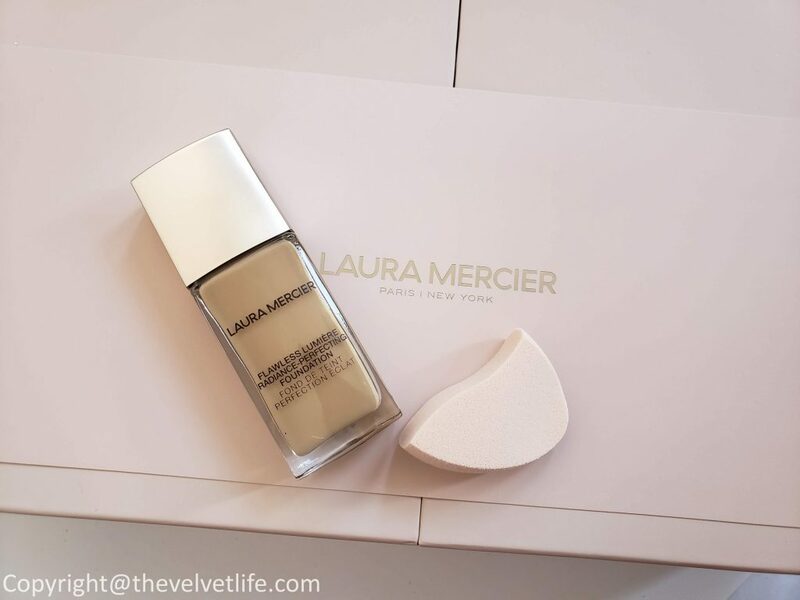 Laura Mercier products are available at Sephora Canada, Sephora, Holt Renfrew, Saks Fifth Avenue, Nordstrom, SpaceNK, and Net-A-Porter.